Charlie is originally from Cincinnati, OH. He graduated from Purdue University with a Bachelors Degree in Business Management with minors in Marketing and Human Resources, prior to moving to Indianapolis. 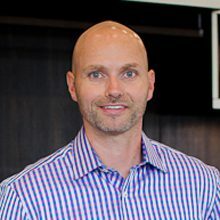 He is co-owner of Threefold, which owns California Closets and CertaPro Painters and has been acting President of California Closets since 2004. In his spare time, Charlie enjoys being active whether on the golf course, biking, or playing ball. He and his wife reside in Broad Ripple; however, he enjoys traveling whenever the opportunity presents itself. His passion for taking space, creating better function for client’s lives and doing it with beautiful style is a challenge he loves. He is inspired each day knowing that what he designs makes a lasting impression on a family’s everyday interaction.